Prior to founding , an artisanal olive oil label produced on a single-estate California farm, Aishwarya Iyer, shockingly, didn't have any experience working in the food industry. The former communications specialist spent nearly a decade working with venture capitalist firms and tech startups before launching the covetable olive oil Goop deemed a that'll ensure you'll get invited back. Although Iyer's career trajectory hasn't been a traditional one, she wouldn't change a thing—not even the uncertainty she felt in the earlier stages of her career. "I used to feel ashamed that I didn't have a concrete five-year or 10-year plan the way many of my peers did," the successful entrepreneur divulged to MyDomaine. "I'm so glad I didn't, because my heart and mind were open to new ideas and inspiration, which paved the road for Brightland," she explained. In this edition of Second Life, we ask the founder and CEO of Brightland all about leaving venture capital firms in New York for olive oil mills in California, learning how to shut off her inner critic, and gaining inspiration from Amazon founder Jeff Bezos. I spent 10 years in tech and venture capital in New York and Los Angeles. In New York, I worked in public affairs at a finance startup, SecondMarket, a marketplace for private company stock for some of the most powerful venture-backed companies in the world. I also worked at , an early-stage venture capital firm that invests in a wide range of industries and sectors, including drones, hardware products, dating apps, food delivery platforms, and more. After moving to L.A., I first joined a consumer mobile startup and then consulted for a number of early-stage startups in finance, health, artificial intelligence, and chatbots. How did you make the transition from the tech industry to the food industry? What began as a personal interest and frustration with the quality of olive oil available to Americans and the state of the olive oil industry quickly transformed into a deep desire to bring profound, meaningful change to the entire industry. I knew I had to build something tangible and tactile. I've applied many lessons from my tech career, such as identifying a problem in an antiquated industry, innovating a modern solution, and being resourceful, scrappy and nimble. Tell us about your current career path and Brightland. I'm the founder and CEO of Brightland, a California-based olive oil company I founded with a mission to champion authenticity in the American olive oil industry. 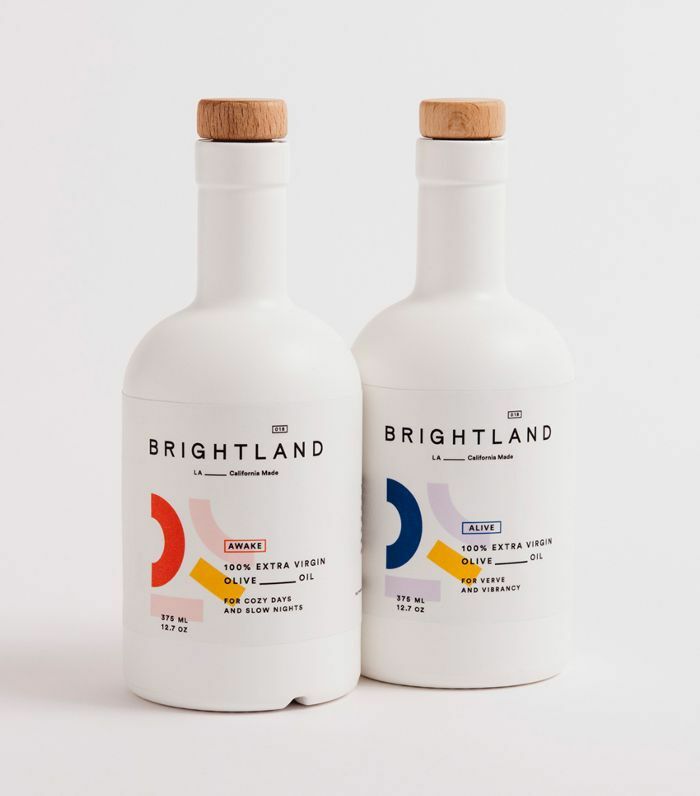 Brightland's extra-virgin olive oils are lovingly custom-blended, handcrafted, and delivered to your door à la carte or via quarterly subscription. 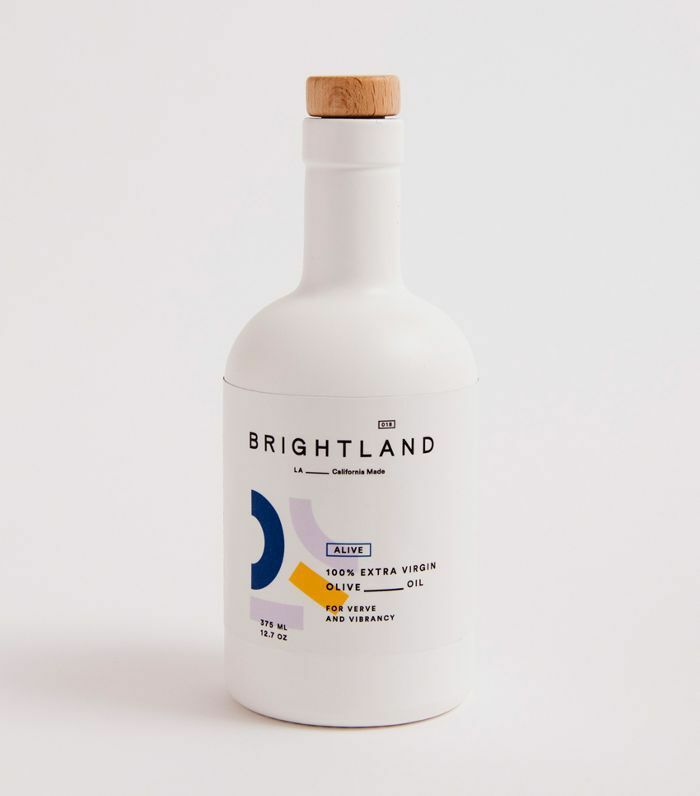 Olive oil is a notoriously rotten, fraud-ridden industry, and Brightland is committed to being the honest, healthy, and modern solution while shining a spotlight on wonderful California olive oil. Our two custom blends feature heirloom arbequina and arbosana olives harvested from a single-family farm in California's Central Coast that are milled on-site through organic methods. What have been the biggest challenges in your many careers, and why? Shutting off my inner critic has been an enormous challenge every step of my career, and one that I still tackle. Everyone has an inner critic based on experiences and feedback from earlier years that governs how they view themselves, affects decision making, and sometimes sabotages them from their natural power. In the past few years, I have done quite a bit of work, mentally, emotionally, and spiritually, to create space from my inner critic, and I've been able to unleash powerful qualities because of it. To anyone who resonates with this, I highly recommend reading by Hal and Sidra Stone. It changed my life. Another challenge that's been present throughout my career is phone/social media addiction. I have always had work and personal email on my phone, as well as a slew of social and messaging apps, and they're incredibly distracting and useless and time-consuming. I find that I do the most creative, groundbreaking work when I'm able to shut off from my phone for an extended period of time. A huge part of the reason I founded Brightland is because the wonderful oils help people—including me—unplug and create conscious, every day, analog moments. I didn't want to look back at my life in 40 years and wonder What if I had taken that leap? I attended an amazing conference last year called SUMMIT that featured Jeff Bezos as a speaker. He shared that when he was thinking about starting Amazon but wasn't sure if he should leave his comfortable, safe life, he thought that at the end of his life, he'd regret the things he didn't do over the things that he did do. That has served as a major force in my decision-making around Brightland. I want to look back at my life and fondly smile at the risks I took. I've always been drawn to storytelling, breathing life into stagnant categories, and breaking molds. Building Brightland allows me to champion a cause and build a movement while also creating a beautiful, tactile, delicious product. I've always been generally comfortable with the uncomfortable. When most of my peers and friends knew exactly what they wanted to do and didn't waver from life choices made at a very early age, I've been more open to change, new experiences, and looking at my life journey as an evolving, shape-shifting entity. Being okay about diving into an abyss without knowing all of the answers is paramount in entrepreneurship, and I have that characteristic baked into my DNA. What's the most important thing you've learned in making a big change in your career life? No one has all of the answers, but being resourceful and kind gets you a long way. Ask a lot of questions, ask Google, and be genuinely curious. You will learn so much. Also, every business is a human business, so being kind and remembering that no one is more important or special than another will serve you well. I spent a lot of time digging into where my fear came from and what exactly was scaring me—was it fear of failure, fear of other people's opinions of me, fear of massive change, fear of the unexpected or unknown. I realized that above all, fear was trying to keep me safe and comfortable, because if I was safe and comfortable, fear had done its ancient, primal job, which is to keep humans alive and not allow them to jump off cliffs or fall into a river—fear stepped in to save people from life-or-death situations. Starting Brightland was really not a life-or-death situation, so once I was able to identify, label, and call out fear, I knew when it would creep up and whisper in my ear not to take a leap or venture into uncharted territory, and I learned to shut it down. I also spent some time right after moving from New York City to L.A. wondering if that was the right move because, at my core, I have New York energy, drive, and spirit. I wasn't sure if L.A. was a suitable city for me, and I questioned my decision to leave New York. Now, I couldn't imagine building Brightland anywhere other than L.A. L.A. is the epicenter for wellness, health, beautiful produce. The friendship and fellowship I've received from entrepreneurs here has been incredible. I am proud to call Brightland an L.A.-made company. I'm creative, strategic, in the trenches, and following my truth! I get to work with incredibly talented designers, brand strategists, bookkeepers, copywriters, photographers, PR and social experts, interns (who mostly are women), and I'm so galvanized to build something from scratch. I also found out last year that my ancestors were renowned salt farmers in South India who harvested salt from the sea and shared it with thousands of people. When I learned that those were my roots, everything clicked into place—I needed to know where I came from before I could know where I was going. I firmly believe I wouldn't be here now if I hadn't made all of my prior decisions and career moves. What is your message to young women who want to follow in your footsteps? Don't follow in my footsteps—create your own path! After all, there are no right or wrong answers, and someone else's definition of success may not be yours. Spend some time asking yourself what really matters to you and what success and authenticity look like to you, and go chase that dream—not someone else's—and never follow society's narrow and fickle definition of success. Don't feel pigeonholed by certain industries or career paths because they are "prestigious" or check a certain box. It's your one life, so pursue and work hard on projects and endeavors that are meaningful to you and authentically light up your mind, body, and soul. Always remember that life isn't a straight line. It is filled with unexpected zigzags, and sometimes you may think you're zigging when you actually end up zagging—that is what is beautiful about it.